I hope you're having a wonderful weekend. I'm busy putting the final touches on one book before I dive back into drafting a new book. ;-) It's never a dull moment when you have an overactive imagination. lol. 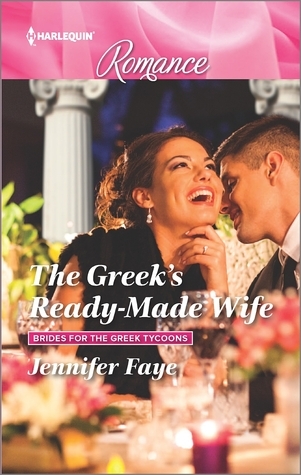 But in the meantime, THE GREEK'S READY-MADE WIFE (Brides for the Greek Tycoons, book 1) is going to release March 1st. And to celebrate I'm giving away a few ARC copies. So please make sure you enter for a chance to win a copy. Giveaway ends February 09, 2016.